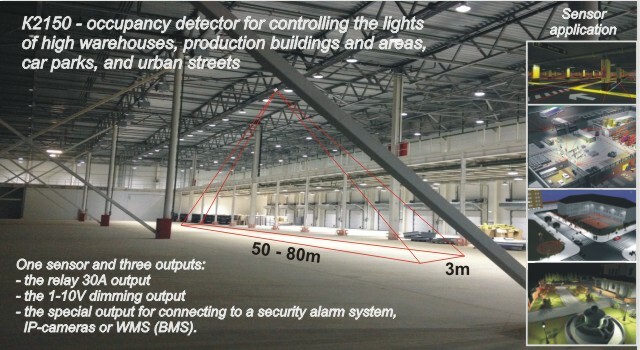 The К2150 occupancy detector for lights control is designed to be installed on a 30-m height ceiling. 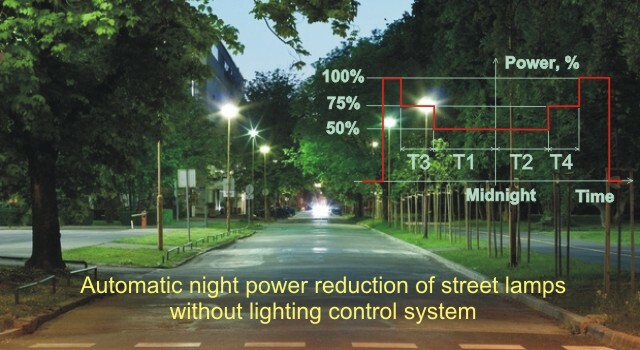 It can also be installed on a wall, 1.5-2 m from the floor, for controlling the lights of warehouses picking and loading areas, various production areas, car parks, urban streets, squares, and so on, with a large operation zone (at most 160″ 40х70 m). 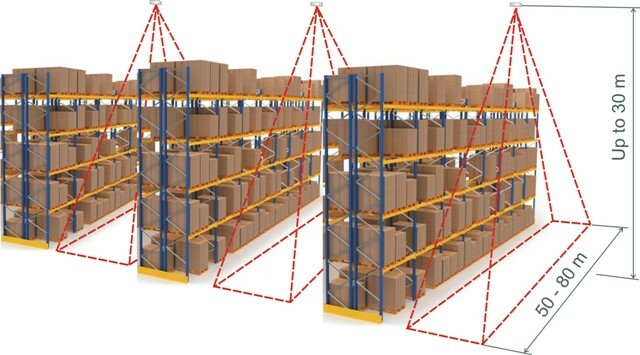 The sensor traces the movement of a person or motor vehicles and transmits the control signal to the lighting system. Dimmers are installed in each outdoor lamp. This can be done directly at the HPS\LED lamps factory before production or into already existing lightning system during its renovation. There are no any requirements for the external connections between all the lamps in the system or between lamps and control box.